Marked by humble beginnings but steady growth for over 50 years, Sun Peaks has transformed from a locals only, secret destination into a world class resort for skiing, golfing and mountain biking. Its transformation may be rooted knee deep in the fresh powder that thrills guests year after year, but it’s growing popularity is built on the shared passion of local residents that gives every guest that welcome feeling of being at home from the moment they arrive. Sun Peaks has a comfortable, laid-back nature that can be felt throughout the entire resort. It’s as easy to slip into as strapping on skis and gliding down to a café for breakfast before hitting the slopes. With 4,270 acres of uncrowded terrain covering three mountains, it’s a typical Sun Peaks winter day to ski right up to a chairlift with no waiting time, or to see only a couple of people on a run for an entire ski down. The feeling of “owning the mountain” is an experience everyone gets on a trip to Sun Peaks. While the slopes are pristine and will demand most of your attention, the village is worth spending the time to discover. The restaurants are diverse; you’ll find hearty pub burgers, Canadian classic “smores”, and mouth watering steaks to cuisines infused by German, Asian and European kitchens. It’s no joke… you’ll spend your chairlift rides debating where to go for après! But we’re called Canada’s Alpine Village for more than just our slopes...grab some snowshoes and explore the valley trails, mush your own team of sled dogs, hop on a snowmobile and see the backcountry, or ice skate under the stars. As the second largets ski resort in Canada and consistently rated as one of the top resorts in North America it’s time for you to discover Sun Peaks Resort for yourself! With over 3,600 acres of terrain to explore and light dry snow, Sun Peaks is all about maximizing your vacation experience. Epic powder days experienced on unbelievable terrain are the ultimate combination. In a matter of minutes, you can sweep down from an open, powder filled bowl into the trees of your choice or the perfectly groomed run that you crave. Variety is the name of the game here. Skiers and snow boarders enjoy the epic powder conditions that we have, for an unforgettable experience. There are 135 runs to choose from spread over the second largest ski able terrain in B.C. They can take you anywhere from the open glades of Mt. Morrisey to the steep face of Tod Mountain. No matter what level of skier or snowboarder you are, there is a perfect run for you at Sun Peaks Resort. A half a billion dollars of investment makes Sun Peaks a vibrant and elegant upscale destination resort. Three mountains, 135 runs and 4,270 acres of ski able terrain (Canada's 3rd largest ski area; 2nd largest in BC next to Whistler) are centered around a picturesque, ski-through pedestrian village. Sun Peaks is a design masterpiece, with terrain for every ability, off every lift from the top of the mountain. Its quality of snow, reliable snow, variety of terrain from three distinct mountains and zero lift lines sets Sun Peaks apart from other resorts. Over 2,000 hours of sunshine a year! Please read below for some additional information about Sun Peaks, where we are located, our ski conditiosn, and our history. Kamloops Airport is serviced by Air Canada Jazz, Horizon Air, and West Jet. Canada’s very own darling, Nance Greene, Olympic gold medalist and former Female Athlete of the Century, lives here and is available to ski with resort guests. Sun Peaks Resort came into being in July 1993. Prior to that, the resort was known as Tod Mountain and the geographic name for the major ski mountain remains ‘Tod Mountain.’ The name Tod came from a famous fur trader, John Tod, who was a chief trader for the Hudson’s Bay Company in the early 1840s. Tod Mountain was originally developed in the early 1960s. Harold (Harry) Burfield was a colourful character who ran the original ski shop at the mountain as well as the one in Kamloops. 1961 - Burfield Lodge and Chair Lift opened to the public. 1968 - Fire damaged the lift equipment and forced a closure until repaired. 1970 - Tod Mountain re-opened in December. 1971 - Harry Burfield died when the plane he was touring the mountain crashed. 1972 - The Shuswap Double Chair Lift was constructed to service the Shuswap base. 1980 - The Shuswap Day Lodge was constructed. 1988 - Construction of a 49-lot subdivision across from the Burfield Lodge was started. Fire caused extensive damage at the top station of the Crystal Chair. 1990 - Paving of access road from Whitecroft Village to Tod Mountain was completed. 1992 - Nippon Cable Company Ltd. Of Tokyo, Japan purchased Tod Mountain, they created a new long range Master Plan and signed a new Master Development Agreement with the Provice of British Columbia. The first phase of the new Master Plan was initiated. Extensive development of the Resort began with the construction of new runs, 3 new lifts (2 quads), new facilities, and new infrastructure. Approximately $12 million was invested in the developments. 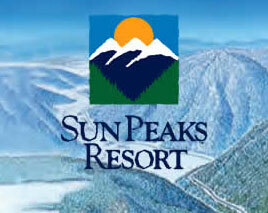 Lift company name was changed to Sun Peaks Resort Corporation. 1994 - Development of the new Village Day Lodge, the “Board Beyond Belief” Snowboard Park, and servicing of the Village as well as the Sunburst and Fairways single family subdivisions (approximately $* million). 9 holes of the 18 hole golf course were completed. 1995 - Development included opening of the first 9 holes of the golf course in late August. Trail improvements on Exhibition, Blazer, Spillway and Cariboo. Conversion of the Sundance Chair to a high speed, detachable quad chair and extending the length approximately 800 vertical feet. Opening up 40 acres (16 ha) of brand new intermediate terrain. Completion of Phase 1 of the 200 room Nancy Green Cahilty Lodge, sun Peaks Lodge, 3 townhouse developments and 4 single family homes in Sunburst subdivision. Snow Country Magazine award winner -#1 in Mountain Trail Design in North America. 1996 - Construction of the 35 million gallon snow making reservoir. Private developers build new hotel – Sundance Lodge. Clearing and rough grading of the back 9 holes of the golf course. Run improvements of Lower Cruiser, Lower Exhibition, Lower Blazer and 5th Avenue. Upgraded Sunburst Express from capacity of 1500 people per hour to 2000. (Village Day Lodge) in North America. 1997 - Sun Peaks Sports Center completed – ice rinks, tennis courts, heated pool and hot tub. Private developers build 3 new hotels – Radisson Hearthstone Lodge, Radisson Fireside Lodge and Heffley Inn. Completion of Sundance subdivision (phase 1). Ski Canada Magazine award winner – Best Weather in Canada and Best Terrain Variety in Canada. 1998 - Completed Sun Peaks stables, Timberline Village and Forest Trails multi-family developments, McGillivray Lake Outpost (log cabin destination for cross country skiers and mountain bikers), 149 stall underground parkade, 14 food and beverage facilities and 7 retail outlets. Crystal Forest and Forest Trails (phase 2) multi-family developments under construction. Snow Country Magazine award winner - #1 in Mountain Village Design in North America. Ski Canada Magazine award winner – Best Apre Ski in Canada, Best Kids Resort Features and Best Grooming in Canada. 1999 - Increased capacity on the Sunburst and Sundance Lifts and new Carpet Lifts. New Buildings and facilities for Snowsports’ School, Group rentals and Child Minding. New blue run called “Three Bears”. Servicing of Sundance subdivision (Phase 2) and Fairways subdivision (Phase 2). Construction of 5 single family homes in Sunburst and Sundance subdivisions. Crystal Forest ( Phase 2) and Powder Ridge multi-family developments under construction. Ski Canada Magazine award winner – Best Grooming in Canada, Best Locals in Canada. 2000 - Servicing of 10 new lots in the Sundance Subdivision. McGillivray Creek Townhomes, 40 units multi-family development under construction. Announcement of $70 million dollars in investments, including the Sun Peaks Grand Hotel and Conference Centre, completion of the 18 hole par 72 golf course in the summer of 2001, lift and trail development on the 3rd skiable mountain – Mt. Morrisey, and completion of the village core. 2001 - Construction of the $40 million dollar Sun Peaks Grand Hotel commences. Servicing of 9 new lots in the Sundance subdivision, construction of the Phase 2 of the Fairway Cottages. Morrisey platter lift completed and 17 new trails developed on Mt. Morrisey. Development of the last nine of the eighteen hole golf course begins, with expected completion date of October 2002, opening 2003 golf season. Construction begins on Phase 1 of an $8 million dollar joint venture project with the Little Shuswap Indian Band and Whispering Pines Indian Band Phase 1 of the development consists of a 10,000 square foot, 48 bed staff housing complex and 6,000 square feet of service-oriented commercial space. 2002 - Sun Peaks Grand Hotel opens October, adding 4 new retail outlets and Sun Peaks’ first night club. Addition of new Back Country Cat skiing outfit on Tod Mountain. 2003 -Resort survives the BC wildfires with now damage to the recreational boundary area. Construction started for a family friendly, all level, downhill mountain bike trail- “Smooth Smoothie”. Opening of the new tube park-“Tube Time”. 2004 -Trapper’s Landing sells out in 6 hours, bringing in over $17 million. Since Nippon Cable purchased the resort area in 1992, they have invested over $75 million dollars in resort recreation amenities and infrastructure services. Other resort building developers have invested about $225 million in Sun Peaks, for a total of over $300 million. The result is a world class, people oriented, four season resort where people come to share special experiences with family and friends while they relax and recharge, away from the ever increasing pressures of today’s world. With 960 possible places to stay on the mountain, 18 restaurants and bars, plus up to 18 retail shops, different places to walk about and buy your favourite things. Sun Peaks Resort is the premier mountain resort destination in British Columbia’s interior and second only to Whistler in BC. The addition of Sun Peaks GrandHotel will further enhance the facilities and image of Sun Peaks, raising the resort’s profile to compete directly with destination resorts in North America and around the world, comparable with such names as Whistler, Banff, Jasper and Mt. Tremblant. Visitation to the resort has grown at a compound rate of over 17% over the 8 years and Sun Peaks Resort is well positioned to continue to produce positive growth.